“Voice of Armenians” TVNY was launched in December, 2010 by a prominent theater director, actress and a veteran television producer, Karine Kocharyan, and her son, an award-winning film director, writer and fine art photographer, Haik Kocharian. The goal of the show is to highlight and document the extraordinary and varied contributions of the Armenian Diaspora, specifically in the New York, Tri-State area. “Voice Of Armenians” TVNY reports on all aspects of our community, including religious, political, educational, cultural and charitable. In addition, we conduct in-depth interviews and produce profile documentaries of notable Armenians who achieved success in their respective fields. In recognition of the important role that it plays in the Diaspora, “Voice of Armenians” TVNY received the 1st Prize Award in the Armenian Media Competition at the 6th Pan Armenian Annual Forum of Journalists in Yerevan, Armenia, hosted by the Armenian Ministry of the Diaspora in September, 2012. We now have our own exclusive channel on Roku TV dedicated to the life of Armenian Diaspora and Armenia. This is a big leap forward for our programming since our show can now be seen on TV throughout the United States and Europe. To watch VOA TVNY on Roku TV you will need to make a onetime purchase of Roku Express at a cost of $29.99. Roku Express is available at any electronic store outlet or online at https://www.roku.com/products/roku-express. Karine Kocharyan was born in Yerevan, Armenia. She graduated from the Armenian Art and Theater University, majoring in theater and film acting, in the class of the renowned director Vardan Ajemian. She began her acting career in Gyumri Academic Theater where she worked for four years, playing a series of lead roles. In 1977, by the invitation of Vardan Ajemian, Karine Kocharyan, along with her husband, a talented actor, director and painter Vladimir Kocharyan, moved to Yerevan to work at the National Academic Theater after Gabrial Sundukian, where she worked until the end of 1994. 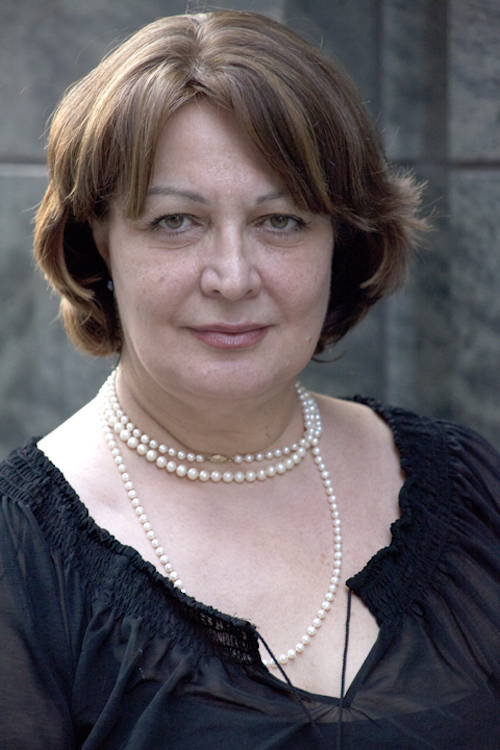 During her years in Sundukian Theater, Karine Kocharyan played numerous lead roles, including works of such playwrights as Shakespeare, Moliere, Chekhov, Beaumarchais, Ostrovsky, Gorky. In December of 1994 she immigrated to United States, where she performed plays for the Armenian Diaspora virtually in all corners of the country, continuing her acting career. In 1996 she co-founded the first Armenian weekly television show “Ardzagang,” in order to bring the news from Armenia. 15 years later, replacing “Ardzagang,” Karine Kocharyan, in collaboration with her son, film director and fine art photographer Haik Kocharian, started her new weekly show “Voice of Armenians” TVNY. “Voice of Armenians” TVNY had a new mission of reporting exclusively on the political, cultural, educational and religious life of Armenian Diaspora and making a lasting online archive about the Armenians in NY Tri-State area. Beginning 2002, Karine Kocharyan also became a New York representative and correspondent of “Voice Of America,” Armenian Service. Her reporting can be seen on every Sunday in the Republic of Armenia, on “Armenia” TV network. Born in Armenia, Haik Kocharian was introduced to the world of art in early childhood by his parents, both of them theater and film actors. After three years of study in the Armenian Theater and Art Academy, he moved to New York City to pursue his artistic aspirations, and attended Brooklyn College, where he majored in photography and film. 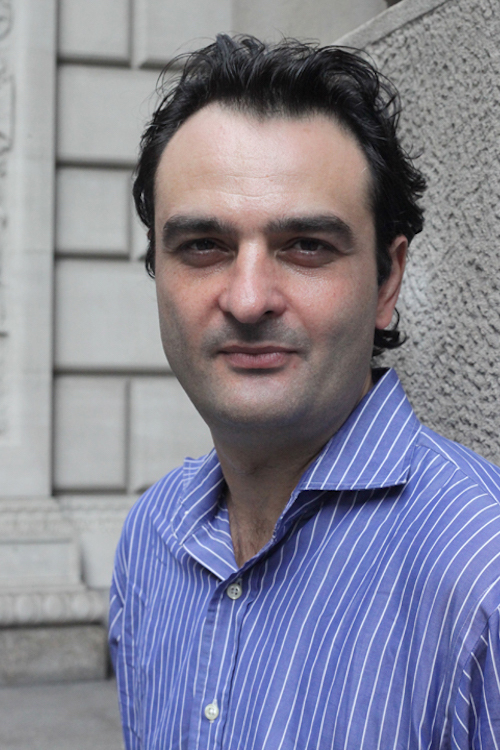 Kocharian has written, directed and produced six short films: “Control Z,” “Haik Take a Hike,” “Williamsburger,” “Inhabitant,” “Flag,” and “Charlie,” which won the Thirteen/WNET Reel 13 Shorts Competition. In 2012, Kocharian wrote and co-produced a feature length film, “Manhattan Romance,” a French – U.S. production starring Isild Le Besco and Jean-Marc Barr, which was screened at the 2013 ARPA International Film Festival in Los Angeles. In 2013, he wrote, directed and produced his first feature film, “Please Be Normal,” starring Oscar-nominated actor Sam Waterston. The film premiered at Monadnock International Film Festival in New Hampshire and won the Audience Choice Award. The film was also part of the official selection of the Golden Apricot International Film Festival in Yerevan, Armenia where it won the prestigious A Nuard Best Cinematography Award, as well as Special Jury Mention. “Please Be Normal” was released in NYC at Cinema Village and was named “The New York Times” Critics’ Pick. Kocharian is also an established fine art photographer. He exhibits widely and has held nine solo photography exhibitions at, among others, the James Cohan Gallery and the Robin Rice Gallery. The Huffington Post called his October 2014 solo exhibition, “Tibetan Monastic Community” at the Judson Memorial Church “photographic splendor.” His group shows include the Museum of the City of New York and the International Center for Photography, among others. Kocharian’s images may be found in corporate and private art collections worldwide, including Polo Japan, Ralph Lauren Paris, Saks Fifth Avenue and Bloomingdales. Kocharian is also a singer, songwriter. He has produced three albums, “Heaven” in 2007, “Juice” in 2009, and “Children’s Album” in 2012, and has performed live on many stages throughout New York City, including Joe’s Pub (Public Theater).